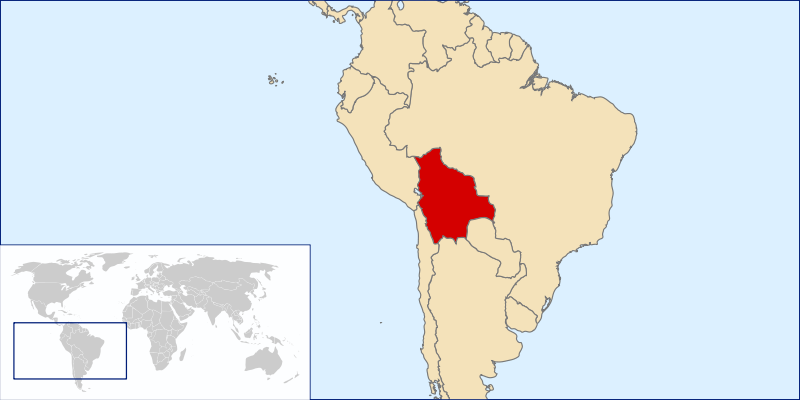 After 24 or so hours of travel — Seattle to Dallas to Miami to La Paz, Bolivia — I’ve arrived safely. 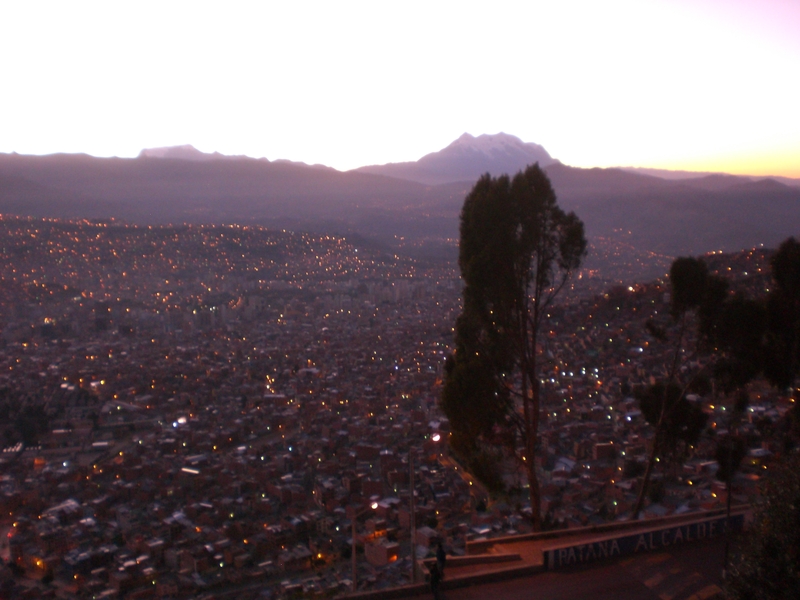 My first impressions of Bolivia and La Paz were breathtaking, both literally at 13,000-some feet and figuratively at the gorgeous view of a darkened city set in a bowl with the early lights twinkling and the sunrise catching the edge of the triple-peaked mountain overlooking La Paz. Illimani is the snow-capped mountain that commands attention and awe from the city at all times, much in the same way that Mt. Rainier does over Seattle, except Illimani is 21,000 ft. tall. I couldn’t stop staring at it. We were met at the airport by several Rotary hosts and my GSE teammate Mark’s Bolivian friend Ernesto. My host parents here in Bolivia, Pedro y Marta, chauffeured half of our group on a winding but interesting route through downtown, dropping people off until it was just us left. La Paz is vaguely reminiscent of some Spanish cities I’ve been to, which is likely due to its hundreds of years of Spanish rule, before becoming independent thanks to Simón Bolívar (hence, Bolivia) in 1825. 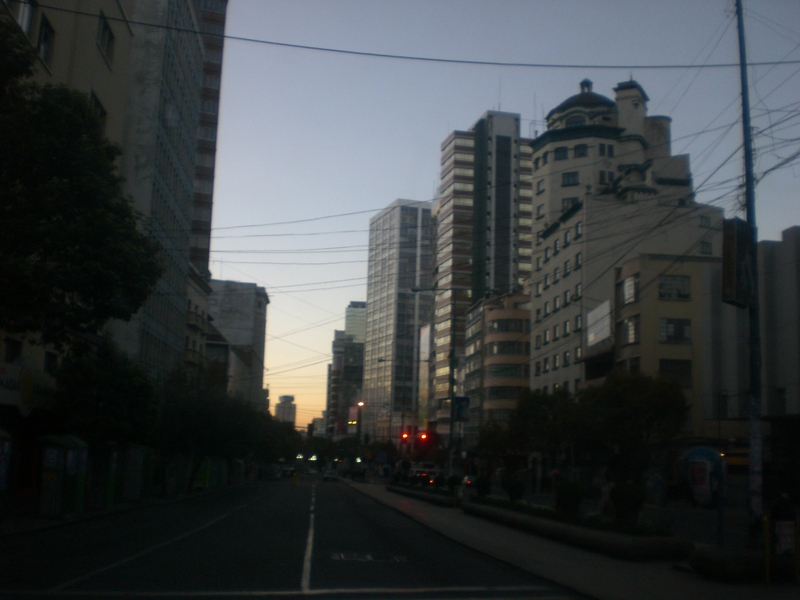 Downtown La Paz is already starting to wake up. Then, they brought me back to their lovely home in Sopocachi. I met two of their sons, Javi (21) and Ernesto (17), at an 8 AM breakfast of mate de coca (coca tea, which helps alleviate altitude sickness) and some simple pastries with jam and dulce de leche. I proceeded to pass out for 6 hours until I woke up feeling like I was in the nose-bleed seats. Quite literally, unfortunately. I have what you'd call "a room with a view." 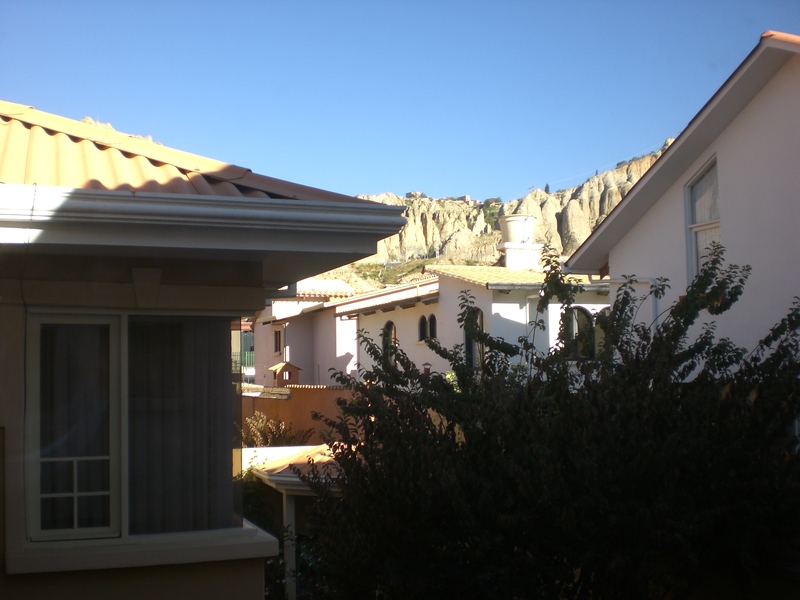 However, lucky for me (and you), my host family has internet so I can keep in touch while I’m here in La Paz for the next four days. Once again, I can’t stress enough the intense contrast of light and shadow in this city, whether on the dry, craggy mountains surrounding the city and changing color throughout the day or the way certain parts of the city are left in a cool darkness and then suddenly catch a flash of light as you pass. You can't pass by a panoramic vista even when totally jetlagged. See the way the light plays off the hills? 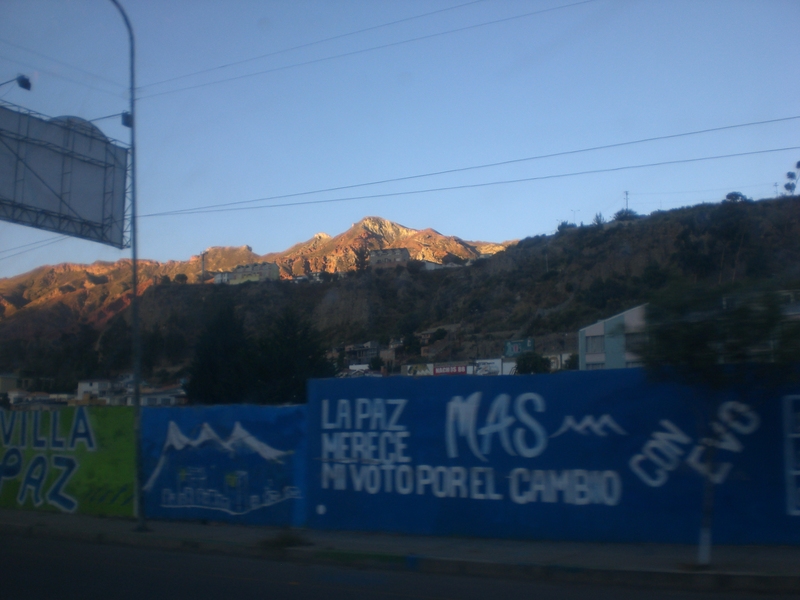 And the "Vote for Evo Morales" (the president) murals? Another note of interest: Mark noticed as we were passing through the city that the “river” was a mere trickle, and Marta reinforced that La Paz’s usual rainy season, summer (which they’re just coming out of), left the city much hotter (by 10 degrees Celsius) and drier than usual. Meaning La Paz is usually around 64 degrees F but has jumped up to 80 degrees in recent years. Her son Ernesto mentioned it again at breakfast when we were discussing the climate here, and they’ve seen stark changes in the weather here for the past three or four years. Now climate is not weather, but this doesn’t look like a very good trend for the city based on expected changes in climate. 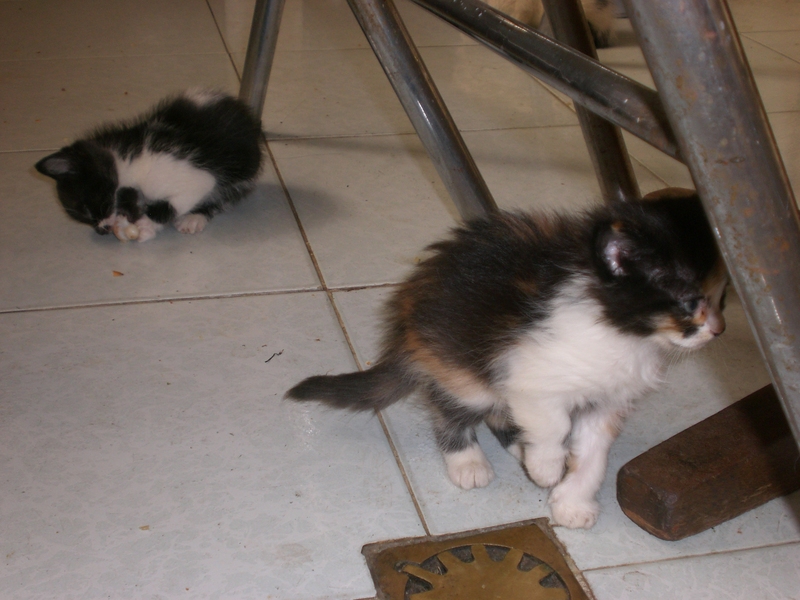 awww, look Bolivian kittens. Some things will never change miss Ashley Braun. 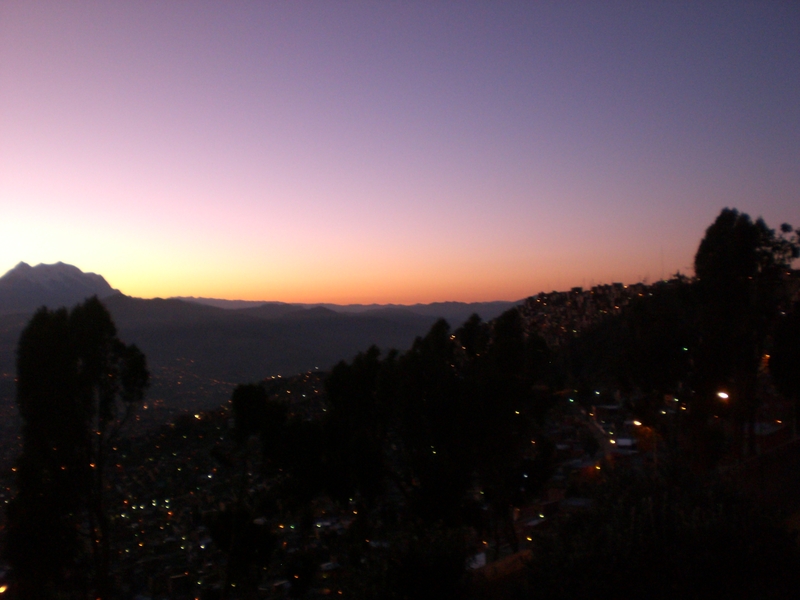 Looks fantastic and very exciting, i wish I was in La Paz Bolivia. Perhaps my skim read missed some crucial details but what are you doing down there? Hm, two posts and nary a llama picture yet. You better get crackin’. 🙂 Glad you arrived safely. Can’t wait to hear what happens next! Will you believe that I haven’t yet seen a real llama yet? Apparently they don’t just walk around downtown. However, I’ve seen some very impressive bowler hats on the indigenous women here. 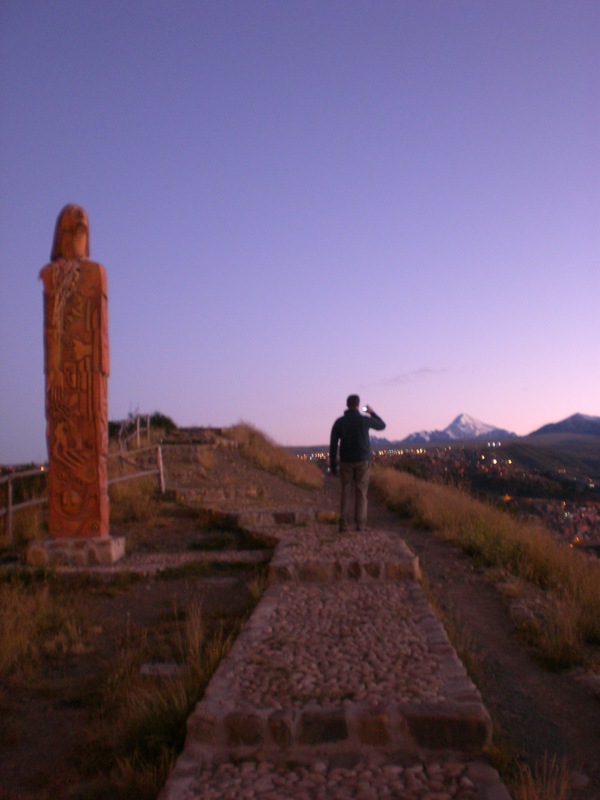 Tomorrow, I’m traveling two hours north of La Paz to Lake Titicaca (hee hee! ), so I’m hoping I’ll get to see some llama action while we’re driving. I promise not to let you down! Is it bad that I scrolled straight through to the kittens? Don’t worry; I’ll get to the other stuff. Kittens! Who doesn’t love kittens 🙂 Glad you made it safe and you’re still finding a way to breathe 🙂 La Paz looks beautiful! Purrr…. The place sounds gorgeous, I can’t wait to hear/see more.